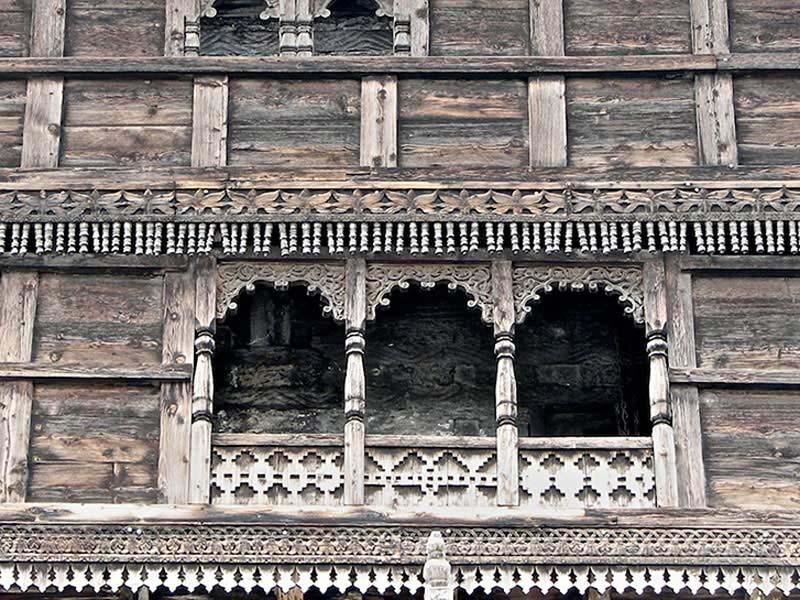 Wood carving is an important decorative and cultural tradition in most parts of India. 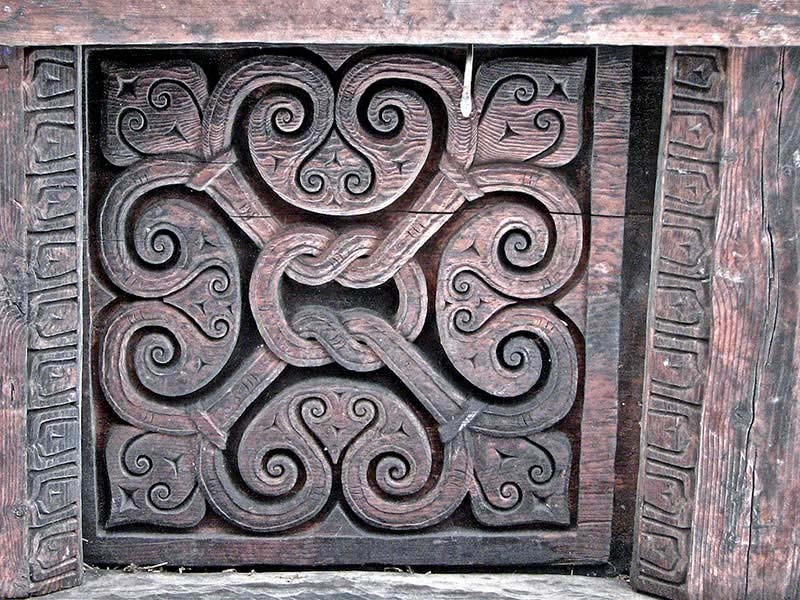 In the forested north, houses are wholly or partly built from timber and decorated with floral and geometric carving. 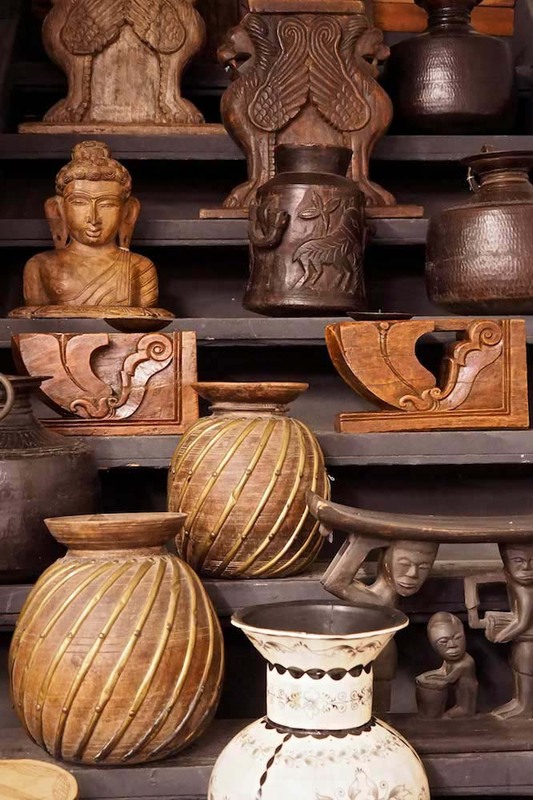 All the carved wooden items in the photo below are in our Statues and Carvings Collection. 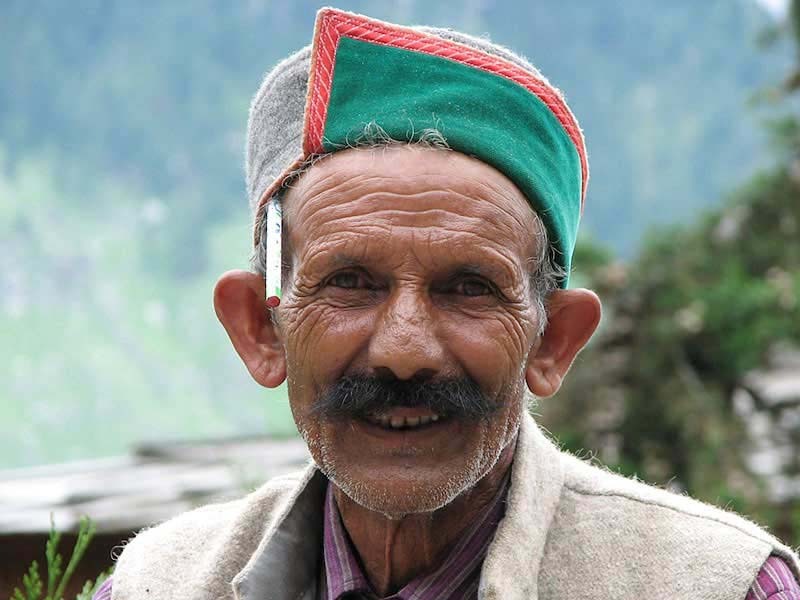 Kinnaur is on the old Tibet-Hindustan road in northern India and the culture is a mix of Hinduism and Buddhism. The houses like the one below in Chitkul are mostly wooden, elaborately carved and very beautiful. 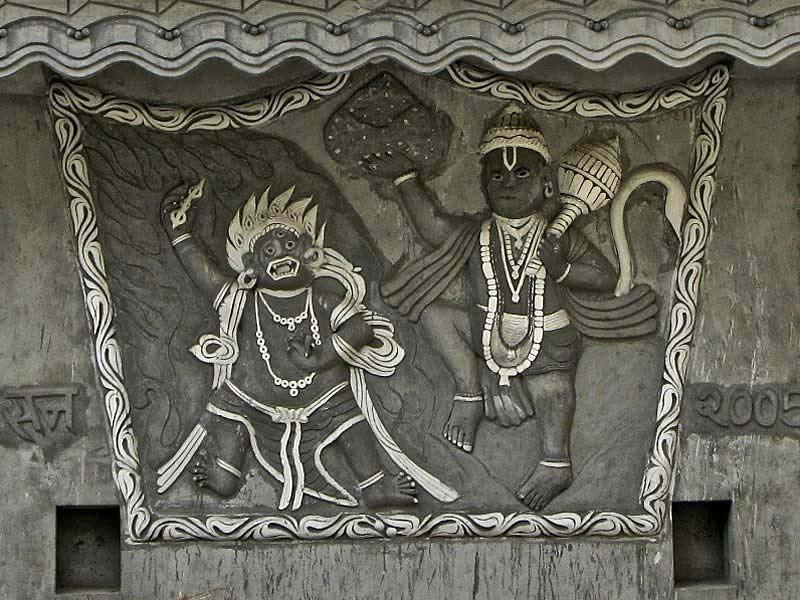 The detailed wooden carving we saw above a door lintel in Kalpa is unusual in depicting the Buddhist Vajrapani and the Hindu monkey god Hanuman side by side - an indication of the old harmony between the two cultures. In fact in many parts of the Himalaya people take every opportunity to have a celebration and mixing the two religious transitions doubles the number of opportunities for a festival. At Sangra, another small village on the Tibet-Hindustan highway, we talked with the master carver, in the photo above wearing a distinctive Kinnaur hat, responsible for rebuilding the Maheshawar temple. The whole project was being "supervised" by a pink robed Shiva devotee reclining on the temple steps. A man and woman sitting alongside had the job of rolling him an interminable supply of fat marijuana joints. It seemed he was on retreat and unable to roll his own for deeply spiritual reasons. Shiva devotees have all the fun. In places like Kinnaur masks are used in ceremonial and religious contexts and human and animal figures are often carved into decorative details on temples. We like to keep Indian woodcarving skills alive and in Jodhpur we worked for several years with a local family to manufacture carved Indian wooden beds. In this collection you'll see carved wooden tribal masks from Nepal including a wooden Hanuman monkey mask, carved wooden Ganesh statues, wooden shrines and carved finials, standing wooden totemic statues from the Himalayas and carved wooden mirrors.